Monday - Thursday Happy Hour: 3:00 p.m. - 6:00 p.m. 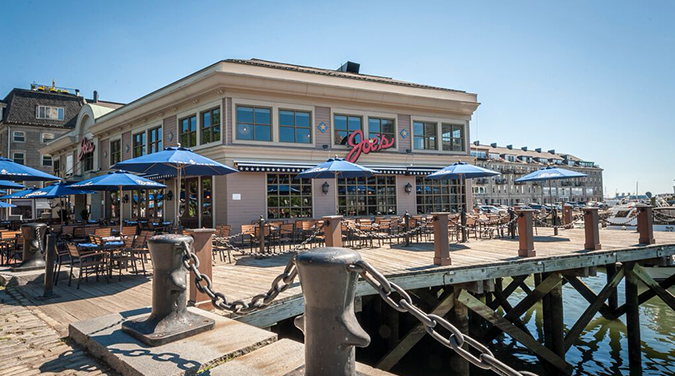 Located just steps from Faneuil Hall, Joe’s American Bar & Grill and the Top Catch dining room offer the best views of Boston Harbor amidst some of the city’s most beloved landmarks. From our kitchen to your table, our meals are made from scratch and served with a smile, whether you dine al fresco on our patio or in the comfort of our dining room. Please note that reservations are for the indoor dining only.